It takes more than a tweet to make a company social. This is part 4 of a 7 part series. By infrastructure I mean all the building blocks that make it possible for you to start in social media as a company, it’s a bit of a mixed bag, and it might seem like the “not fun” part of social media. But if you haven’t put these in place you’ll spend a lot of time solving problems as you go. Most of the things are not visible to your audience, but their absence will eventually be observed. And if you’re ever unfortunate enough to strike a crisis in social media you will struggle to respond well without these building blocks in place. Think of it like an iceberg, the visible part of social media is the presence on platforms and the content produced, but most of the work is below the surface. 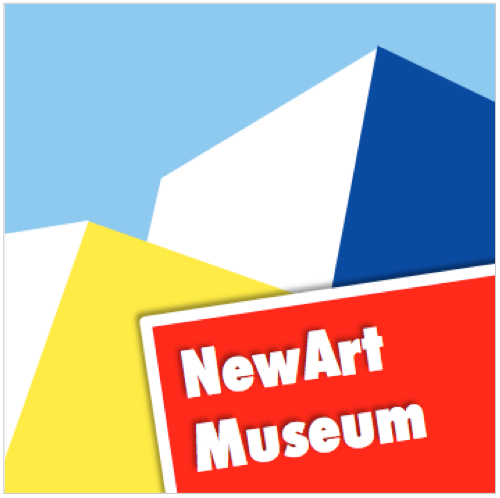 I’ll explain what these building blocks are at a high level, give some resources to help you and take the next step with the imaginary NewArt Museum. The word governance seem off-putting, but it’s really about figuring out how things should work. It’s helpful to think of it in three parts. How will you make decisions? Who needs to be involved? Often you will need high level steering on a strategic questions, and then agreement on who makes decisions on a day-to-day level. If this is not in place you will risk either no-one taking needed action, or in-fighting for who should act. (i) on a day-to-day basis put as much decision making in the hands of the social media managers as you can. (ii) Form a team from senior stakeholders to steer overall strategy, often it’s on the social media managers’ recommendation (why ignore expertise!) but it’s important that stakeholders in your organisation are committed to the effective use of social media. This is more likely to work when they’ve been included in making the decisions the stakeholders are most likely drawn from the communications and marketing teams, but will often include representatives from risk/compliance/legal teams. (iii) Document the roles against each process, I’ve often used the RACI techniques which feels horribly detailed the first time you do it, but does force you to think through the steps of the process. Define the processes you’ll need for the long term effective management of your social media presence. – platform specific guides, for example hashtag use on twitter. Drawing on your naming convention register the required social media accounts. Acquire as soon as possible, and watch for new platform launches to acquire there as well. What if your company’s name is already acquired by someone else? If the account is being used honestly and fairly then you’re out of luck and need to come up with an alternative, perhaps by adding “the” to the beginning, or an underscore between words or a suffix (eg; ING uses @ING_news for their group account). If the account uses your name to impersonate your company or to send spam you may be able to reclaim it; check the platform’s terms and conditions for how to do this. From experience the main platforms have got better at solving this quickly as they have seen business use rise. Acquire names pre-emptively. Your strategy will determine which platforms you should be most active on, even if your resources don’t limit you. But acquire names early for future use. Make sure your accounts use consistent branding, link to your company website, and from your company website to the account. In this way visitors will know that it really is your company posting. When you use social media for fun, as an individual, your needs are simple. When you use social media for a company the needs get more complex; social media listening, secure protection of accounts, content creation and scheduling publication. The more complex your organisation, and the bigger your social media presence the more likely you are to be paying for some of these. I’ll go through the free and paid options for these; note that lots of tool suppliers have “freemium” models so it’s pretty easy to test and play with the tool before investing. You need to know what people are saying about you across social media; to provide webcare, to monitor a campaign, or to uncover issues. There are several free tool options for social listening but none of them do everything, and not all give you real time options. For individuals, freelancers and small companies with limited social media presence a combination of these will probably be enough. 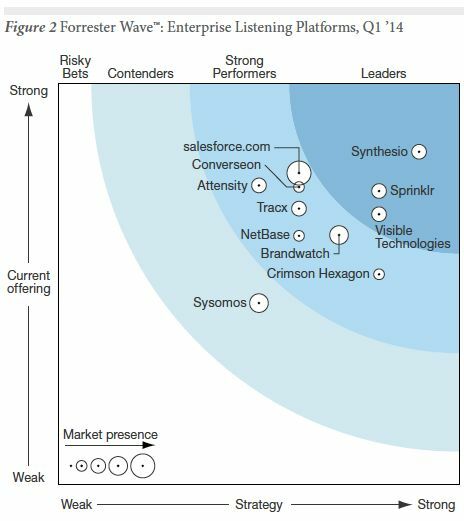 For bigger companies this won’t be enough and they’ll look towards Radian6 from Salesforce, Engagor, or Synthesio to filter through the thousands of mentions of the company globally. (Assessing which one is right for you is a challenge; luckily Forrester assesses this space regularly and you can also use software comparison sites such as Trust Radius which include user reviews). There are plenty of social media fails around where someone tweeted from an official account in error, or where accounts were hacked. For companies in regulated industries there are also a range of compliance policies to follow, eg; you don’t want customers sharing account numbers online if you’re a bank, or medical information if you’re a hospital. There are some serious solutions out there, once again Forrester assesses them. The one I have used is Nexgate, which can act as a vault for all account information, apply policy limits to what can be published, and monitor what is posted on your social media channels for any compliance issues. This is heavy duty stuff. For most people it’s more than what is needed and you’ll be OK if you keep protocols in place (one good reason for people using a work phone for social media rather than their own phone), set strong passwords and monitor accounts frequently. Yes you can schedule posts. More than that; you should schedule posts. In this category there are several free tools once again. Some are specific for the particular social media platform, and a word of warning here – Instagram doesn’t allow scheduling, but obviously you can still plan your Instagram posts. Hootsuite offers a free service that will let you publish to multiple platforms, and it’s fairly easy to use. If you’re a heavy twitter user then Tweetdeck is a super-simple tool and allows you to listen to specific hashtags, see your own mentions and respond within the tool. Whatever tool you look into also consider the mobile version – you want to be able to do everything from a smartphone that you can do from a desktop. Congratulations on making it this far! This post is longer than usual and even then I think I could probably write a post about every item listed above. The communications manager is responsible for the social media deployment. She begins by forming a stakeholders group to be responsible for the strategic decisions; the group includes the curator of the exhibition to be running at launch, the artist liaison manager, and the brand designer who is an external advisor. Together they work through the high level decisions and agree that the social accounts need branding with the brand team’s designs, and that content development will need work from the brand team and the exhibition team, so a working group across all three teams is set up for content development. The communications team is re-enforced with two interns for the purpose of the launch and the team set about pro-actively acquiring accounts on social media platforms using NewArtMuseum as the standard name. The accounts to be used are connected to a social media management tool such as Hootsuite or Buffer. Their strategy is to focus on Facebook and Instagram, as these are both image focused platforms, and to try to find a way to build user generated content into the campaign. They’ll also experiment with periscope as they get closer to launch date, given it’s short lifespan it seems a good option for “sneek previews”. Twitter itself will be used for more press type communications. The communications team set out the ways of working in a playbook, and start working on content development with the curator and the brand designer. They want to start building and audience and creating some buzz before the museum re-opens.